Features : Known for purity, Longer shelf life, 100% natural flavour, Various health benefits. 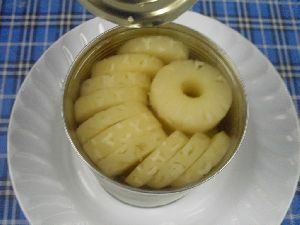 We manufacture best quality canned pineapple products processed from high grade fresh pineapples from north east India. 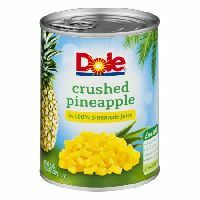 We offer our buyers with wide range of processed pineapple products like canned pineapple slices in natural fruit juice or syrup, canned pineapple whole and broken slices, canned pineapple pieces, canned pineapple tidbits and canned pineapple chunks or dices in natural juice or light syrup. 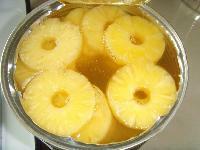 We are listed at the apex in the list of the prominent Pineapple Manufacturers in India. 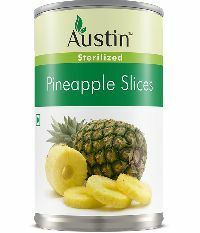 The canned Pineapple Slices offered by us are extensively demanded in the market due to its freshness and delectable & juicy taste. Additionally, customers are also eased with the availability of the Pineapple Titbits in the array. One of the most popular fruit is pineapple or "ananas" . 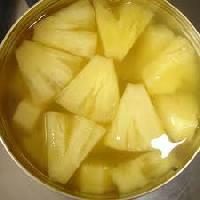 Fresh pineapple is low in calories. It is also a storehouse of several unique health promoting compounds, minerals and vitamins that are essential for optimum health. It is an excellent source of antioxidant vitamin C and B-complex group of vitamins like folates, thiamin, pyridoxine, riboflavin. Canned Fruits & Vegetables. We have our in-house smart working system that ensures the quality of the product.the agricultural field and so we are consultant for canned pineapple Processing Cultivation.